These classic dill pickles get their characteristic tangy flavor through good old-fashioned lacto-fermentation. Simply make a saltwater brine, submerge the cucumbers in it with herbs and spices, then let the wonderful world of friendly microbes take over. As they eat the natural sugars in the cucumbers, they'll produce lactic acid, which will make the pickles nice and sour and perfectly preserved for longer-term storage. The fermented cucumber pickle developed in the Baltic region and was exported throughout Eastern Europe, eventually evolving into the American versions of full-sours, half-sours, Jewish pickles. Fermentation times and spicing determine what kind you make. Half-sours, for example, are fermented for less time than full-sours. Adapted from a recipe by Marcin Filutowicz, professor of bacteriology at the University of Wisconsin at Madison. A saltwater brine creates the perfect conditions for friendly lactobacillus bacteria to ferment the cucumbers and produce lactic acid. A complex spice blend creates layers of deep flavor. In a large bowl, combine 1 quart (1 liter) cold water with the 1/4 cup salt, stirring to dissolve the salt. Meanwhile, wash cucumbers, then trim off the flower-end (opposite of the stem) using a paring knife. Place cucumbers in cold saltwater bath. Let stand while you prepare the spice mixture. In a small bowl, stir together 2 tablespoons mustard seed with the allspice, juniper, turmeric, coriander, cloves, ground ginger, bay leaves, cinnamon, and star anise, if using. Measure out 1 tablespoon pickling spice blend and reserve the rest for a future batch. Wash 1 (1-quart) glass canning jar with warm soapy water and rinse well. Pack the sliced onion, garlic, dill, 1 tablespoon pickling spice, and remaining 1 tablespoon mustard seed into the jar, pressing firmly into the bottom. In a medium bowl, stir together remaining 2 tablespoons salt with 1 quart cold water until salt is dissolved. Drain cucumbers and pack into the jar. Pour saltwater brine over cucumbers until covered. 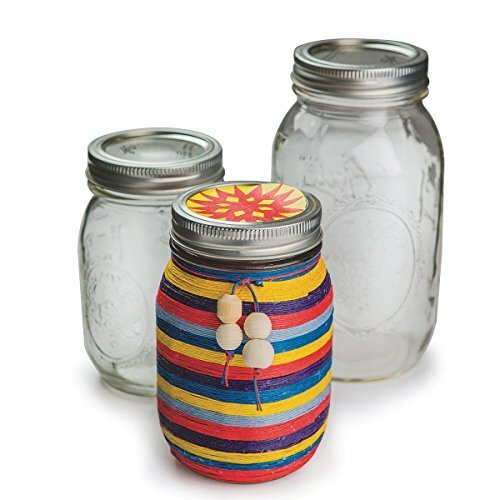 Close jar, fitting it with a Pickle Pipe or other airlock system for mason jars. Place fermenting vessel in a cool, dry location away from direct sunlight to ferment. Ideal fermentation temperature is 60°F (16°C) to 70°F (21°C). Dry basements are ideal as they maintain a relatively consistent temperature. Check on your fermenting vessel every few days, looking for any evidence of spoilage or rot. You may notice some whitish growth; this is yeast and can be skimmed (or, if you're like me, you can toss the batch if you see yeast, as it can affect the flavor of the pickles). Your crock should develop a sour aroma; if it smells of mold or rot and the cucumbers are gray, soft, or otherwise discolored, your batch has been contaminated and must be discarded. The exact fermentation time is hard to predict, but generally it takes about 3 weeks to reach the half-sour stage and 6 weeks to reach the full-sour stage. When your pickles reach your desired sourness level, transfer to the refrigerator. The finished pickles can be refrigerated for up to 2 months. Variation: To make a Polish-style vinegar-fermented hybrid pickle, follow the recipe as written, adding 1 cup of white vinegar for every quart of water. This method comes directly from my husband’s family. Pickling cucumbers are rated by size using numbers. "Number one" cucumbers are smaller than "number two" cucumbers; either will work here, though larger ones may not all fit into the jar. This recipe can be increased by keeping the salt-to-water-to-cucumber ratios intact. The recipe calls for distilled water; in areas where water quality is good, this isn't necessary, but if you are unsure, or if you have poor water quality, distilled water will help ensure a good fermentation. I'm a Wisconsin Master Food Preserver and writer. I love learning and teaching. My work focuses on the history of the food we eat, why we eat it, and the people who make it. I teach notoriously raucous preservation classes wherever I can set up my pots! Order my book, Preservation: The Art and Science of Canning, Fermentation and Dehydration for more.